Water tight pipe manifold for splitting flow from pumps outside of the pond or water feature. Ideal for connecting to dry-installed pumps for water supply to water blades or spouts. Individual valves on outlets allow flow to be distriduted evenly. 3 Way manifold with valves for 1" (25mm) hose pipes. 1" BSP Female UnionThreaded inlet. 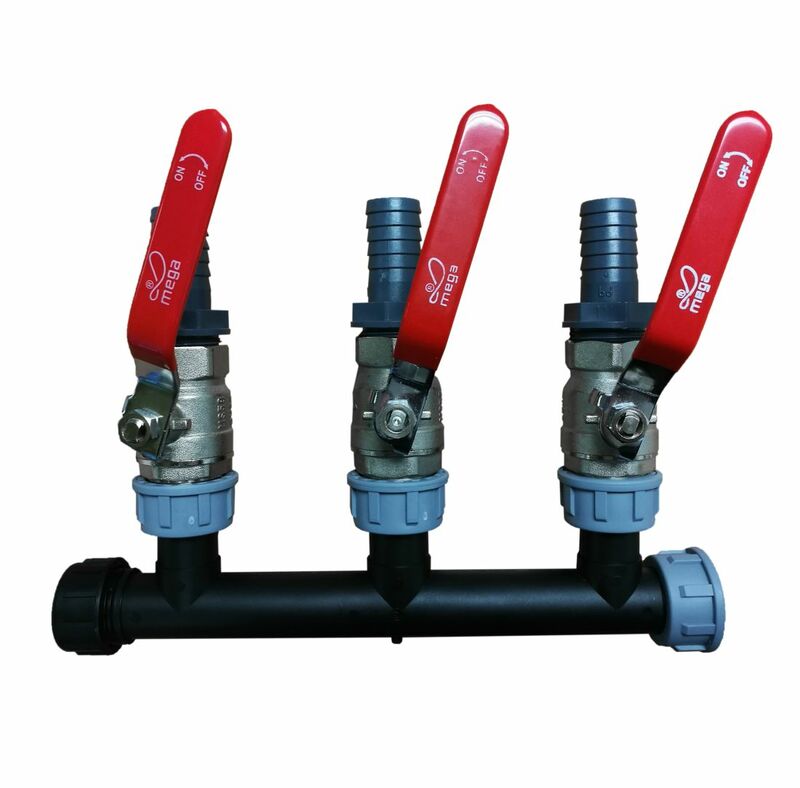 3 x Brass Ball Valves with removable handles. 3 x 25mm Hose Tail outlets. 1 x Removable 1" BSP Female End Cap.